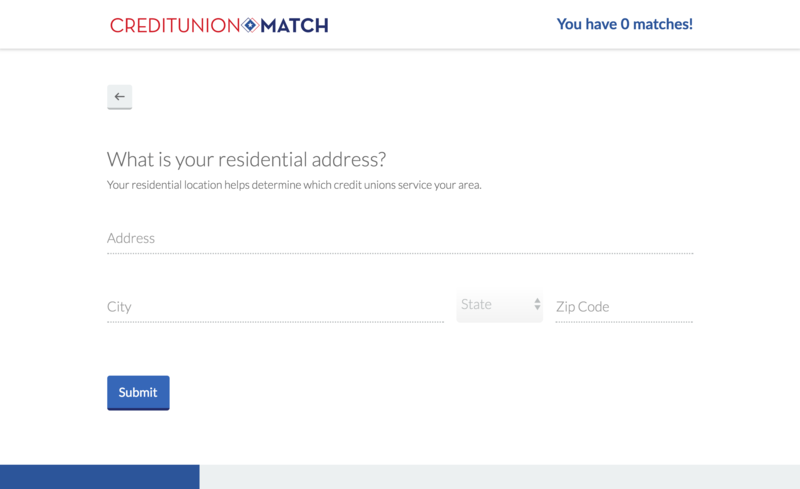 CUCollaborate wanted to launch a web survey to help potential clients find credit unions that they’re eligible to join. 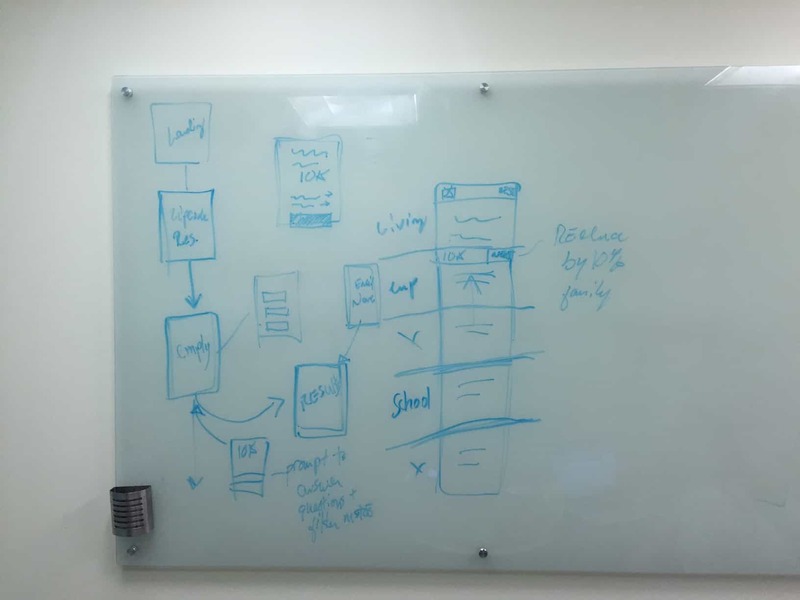 CUCollaborate had their own internal developer, but needed a designer to think through the user experience and flow, in order to provide the best product for credit unions and their customers. 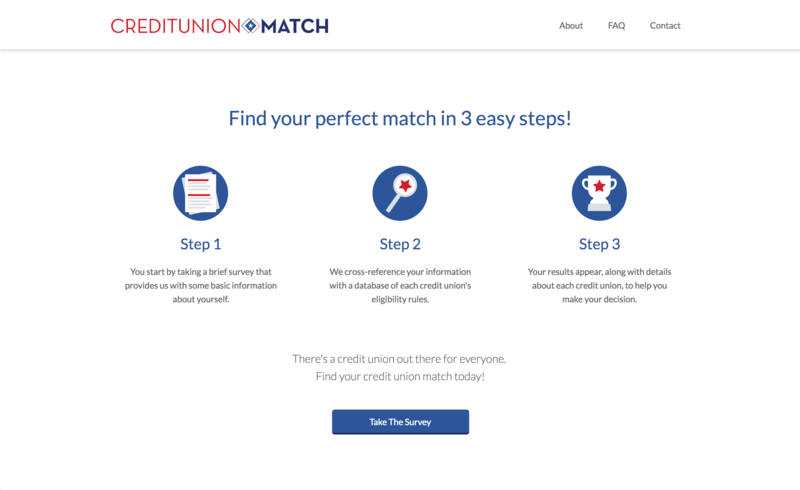 Create a web survey that takes users through the appropriate question flow to find the credit unions that best fit their needs. 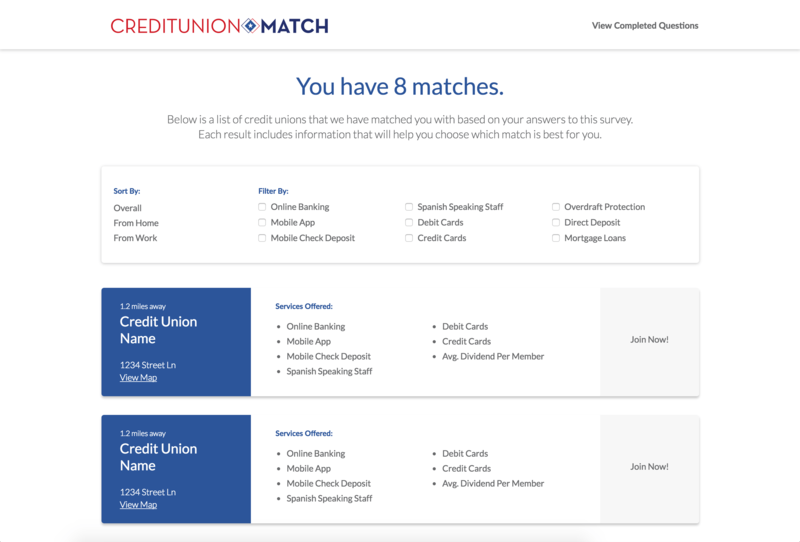 On the business end, this survey needed to be created as a white-label product, so invested credit unions would be able to use this service and change it to match their brands. 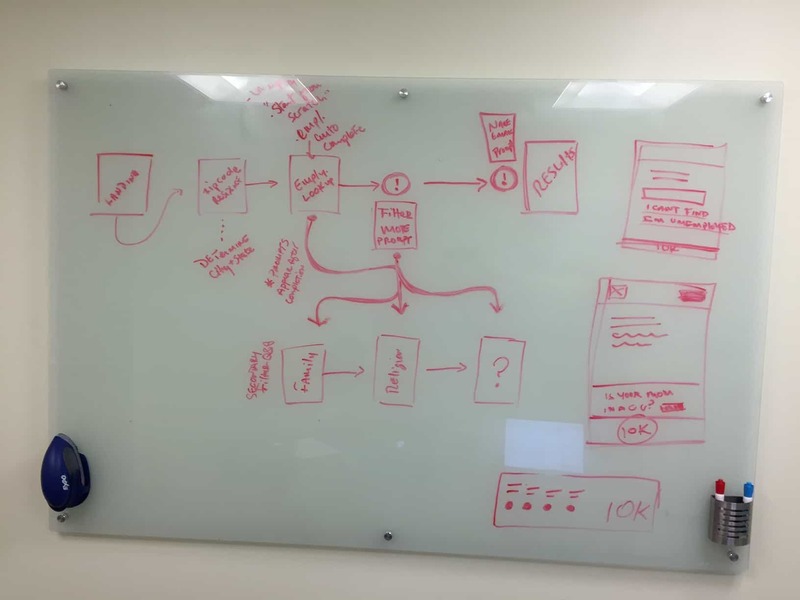 This project had a “choose your own adventure” theme, and it allowed users to answer as few as three questions to find a result. 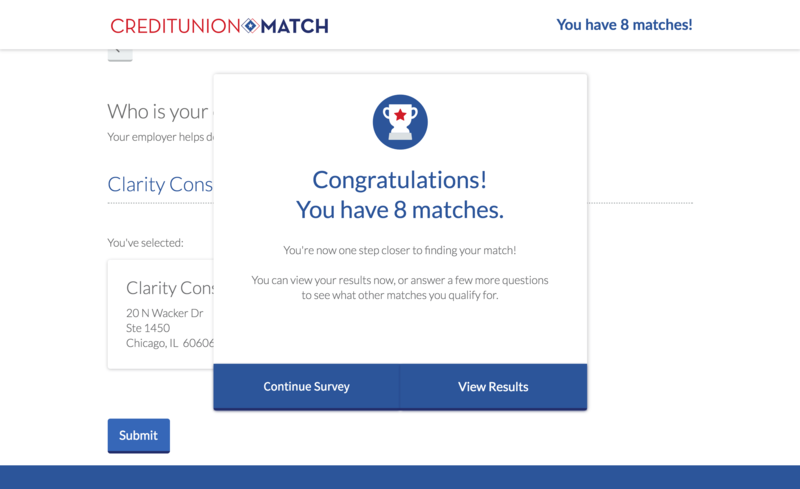 In order to make the survey seem less daunting, I display a progress bar through the initial three questions, which are required for a result, as well as a questionnaire menu that allows the user to answer questions in any order they choose.